Asian hospitality group Dusit International, which currently operates 29 properties across a range of locations worldwide, is going through an exciting growth phase. “We have signed more than 40 properties for the next 3-4 years, which will take us to between 70 and 80,” said Rustom Vickers, Dusit’s vice president of development, at this year’s ITB Berlin travel trade show. Dusit’s modus operandi for choosing new locations for its hotels, resorts and residences is an interesting one. The group typically looks at less obvious destinations, for example Khao Yai (two hours outside Bangkok in Thailand), Brookwater (in suburban Brisbane, Australia) and Changzhou, Zhuzhou and Suining in China, among many others. Location is the most important indicator to which type of property is opened – Dusit’s brands range from the luxury resort-style Dusit Thani and Dusit Devarana to the chic, contemporary DusitD2 and the more affordable upper midscale DusitPrincess properties. “We are very selective with our locations, we make sure each property is relevant to the market,” said Suthumpun, who has a background in the telecommunications and tech sectors, and who is keen to make sure the technological aspects of the group are as up to date and advanced as possible. This is most obvious in the D2 brand. “DusitD2s provide a different experience for the younger generations, although we do not differentiate our clientele by brand,” said Suthumpun. 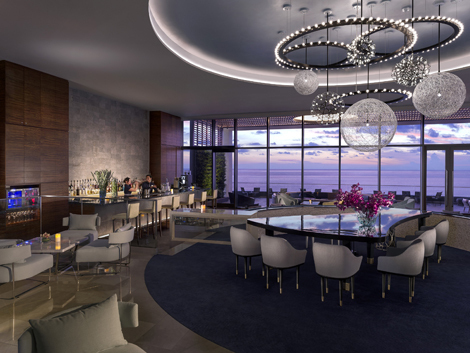 A major new opening was that of the Dusit Thani Guam resort in late 2015 (see here), which boasts Micronesia’s largest convention centre and will appeal to the substantial Japanese and Korean markets. 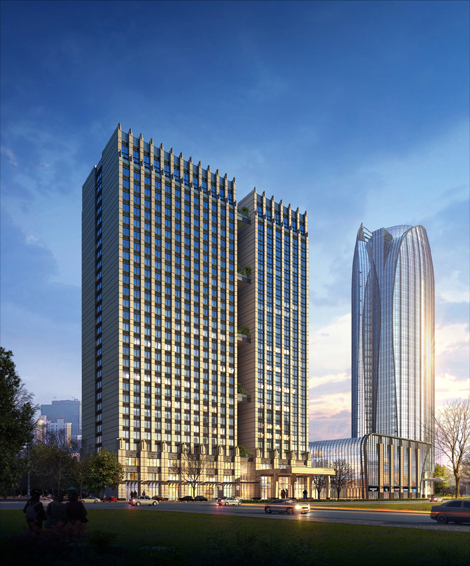 In January 2016 the Dusit Thani Dongtai opened in Jiangsu province, the first Dusit Thani to launch in mainland China and the first international five-star property in that city. 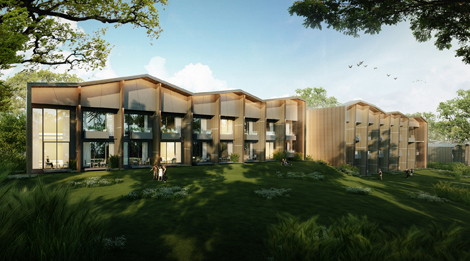 Also scheduled to open this year are DusitD2 Khao Yai, Thailand in June; DusitPrincess Serviced Residences, Shanghai – the first Dusit project to launch in China’s financial capital; and DusitD2 Kenz, Dubai, the sixth Dusit property in the UAE, and the debut of the contemporary, tech-focused D2 brand in the Middle East. When asked about the current “super-merger” strategies of some large hotel groups and their potential effect on Dusit, Suthumpun replied: “We do not concentrate on other groups, we focus on building the foundation to support our own growth.” Despite the fast expansion, Suthumpun and Vickers are quick to point out that Dusit retains a tight business focus. “Although we are only 29 properties right now, we will grow very quickly in the coming 3-4 years. By then we will have 4,000-5,000 employees – and we must be able to deliver our brand promise consistently for all properties,” said Vickers. Perhaps with greatly increased hotel numbers in mind, in October 2015 Dusit International rolled out a revamped loyalty programme called Dusit Gold (see here), which provides immediate benefits such as special room rates, dining, laundry and spa discounts, and complimentary amenities. Central to the programme is the Instant Rewards feature where members receive a special bonus on every stay, based on their personal preferences. A new development is an exclusive members-only offer called “More for Less”, which will run from April 17 through September 30, 2016, whereby Dusit Gold members enjoy 50 per cent discounts on room rates after the first day.